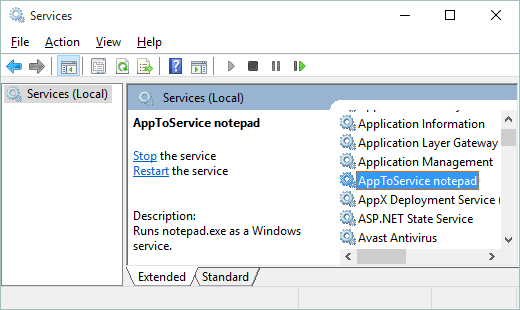 AppToService is a Windows Unicode console application that lets you run regular applications and servers as Windows services. 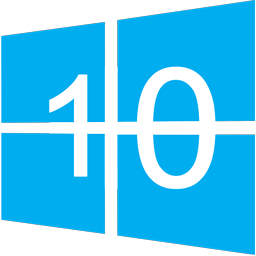 This allows you to have some of the benefits of a Windows service, such as the ability to run an application even when no user is logged on the computer, the ability to run an application under a specified user account, the ability to allow an application to survive logoff/logon sequences, hence saving the overhead of restarting it for each new user, and so on. For instance, you can run a dialer application as a service to automatically connect a computer to the Internet following unattended reboots. You don't have to be an IT professional to deal with services: AppToService has an easy interface and a thorough help guide filled with tips and examples. Stop wishing your application was a service. Make it run like one with AppToService! Tiny and easy to use console application. No need to mess with the registry. Many options available for greater control. Works with virtually any application. Included a shell application (AppToServiceShell) in the package to avoid UAC prompts and hassles. Added a help guide to the software package. Added the /Delay option to avoid dealing with service dependencies. Changed the desktop interaction default from /Interact:1 to /Interact:0 because Windows stopped allowing services to interact with the desktop since Vista. Refused service if the program file AppToService.exe is renamed. 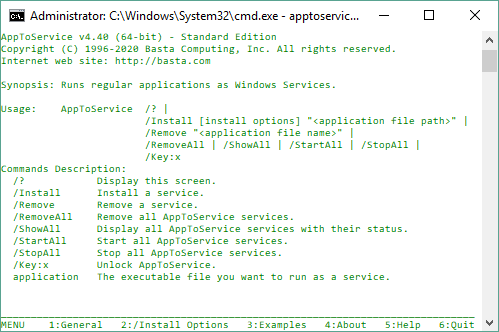 Added the /Description option to customize the description of services created with AppToService. 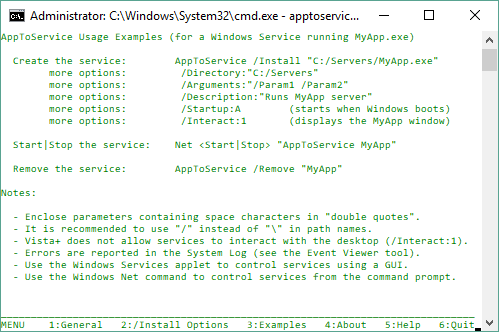 Service descriptions are displayed, among other places, in the Windows Services application. Corrected the program to allow service names containing dot characters. Added the /Account and /Password options to specify the account under which a service should run. Added more /Show options to specify the client window startup state. Added /StopAll and /StartAll to easily manage AppToService services, and /Closing and /Timeout to control the termination of client applications. Enhanced /DependOn to accept multiple services and to accept services using their display name. Added /Preview to see the client's execution instructions. Fixed a v2.4 bug that prevented the /Arguments flag from working properly. 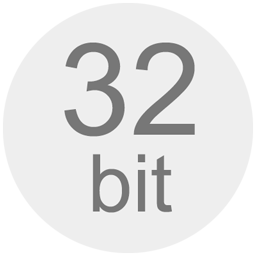 Added support for batch files. Added /ShowAll and /RemoveAll flags to display or remove all the installed services. Added the /Interact flag to specify whether the client application should interact with the desktop. Added the /AbsName flag to eliminate the "AppToService" prefix in the service display name. Extended the command line capacity. Accepted lengthier command line arguments. Added the /Name flag to allow the creation of multiple services hosting the same client application with different arguments, and improved the ability to close client applications when services are stopped. Added the /Directory flag to specify the working directory. Changed naming conventions and added /DependsOn. 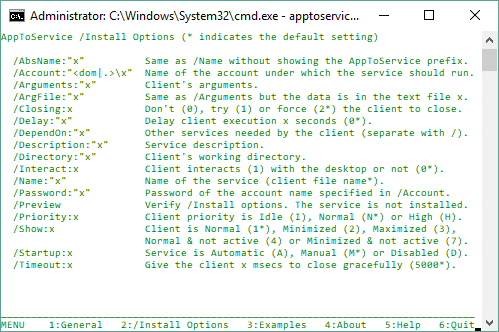 Changed the application name from ServiceIt to AppToService, and added support for command line arguments, execution priority, window state, and startup type. 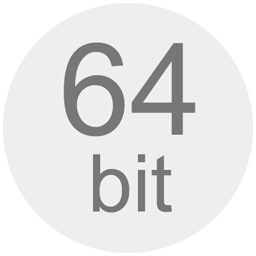 WARNING: This release is not backward compatible.